The Polo Cocktail is mostly gin with just a little bit of orange and lemon juices. These brings out the citrus notes in the gin. The overall flavor here is definitely citrus. I like a gin like Hendrick’s for this one, because it already has prominent citrus notes. 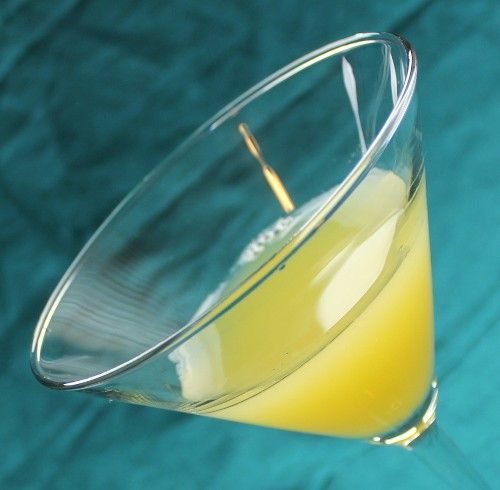 This is a refreshing, tart cocktail that relies only on the tablespoon of orange juice for any sweetness. It’s the sophisticated sort of flavor you might associate with country club bars, which is where I’m guessing it gets its name. But this is definitely a drink anyone can enjoy. Fill a cocktail shaker with ice and pour in the ingredients. Shake well and strain into a cocktail glass.